Teaching music at home can be challenging. As homeschoolers we try to sing often and we even go to sing at a nursing home once a month. Teaching is different. Getting the kids to project their voice, hold notes and keep tempo can be challenging. Disney Learning has commissioned a series of books -Explore Music / Creative Arts authored Hal Leonard for the 4 and up crowd that brings music learning to their level by including characters that kids know and love. 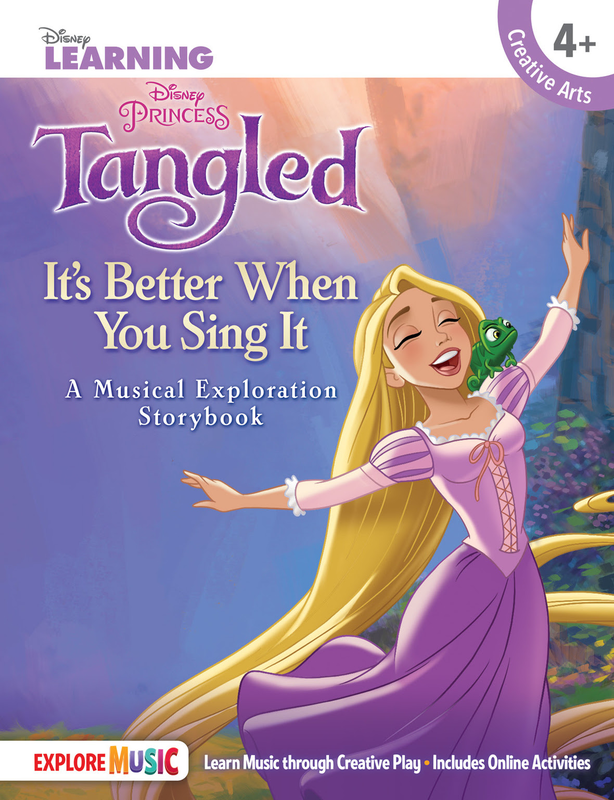 In Disney Princess Tangled: It's Better When You Sing It: A Musical Exploration Storybook, we first have a story featuring Rapunzel. Included on each page are tips and excerpts on how to sing. 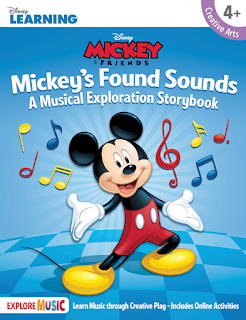 Next Disney Mickey and Friends: Mickey's Found Sounds: A Musical Exploration Storybook is all about instruments. You will find simple instructions to make several types of instruments at home using items you probably already have on hand. 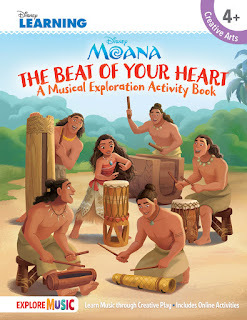 Look for Moana: The Beat of Your Heart - A Musical Exploration Activity Book, Tangled: It's Better When You Sing It - A Musical Exploration Storybook, and Mickey's Found Sounds - A Musical Exploration Storybook at fine music and bookstores everywhere or by visiting www.halleonard.com. I really love these books. My 6 year old isn't always thrilled to sit and read. He is a normal boy who wants to go, go, go. However when I pull out a book with a character he loves (like Mickey or Moana) his interest peaks. He wants to know what is happening on the pages. He also loves crafts and the Mickey book was right up his alley for that! Making instruments is always a fun time. Tangled! I love that movie! My nieces will enjoy Tangled: It's Better When You Sing It. We like Mickey's Found Sounds! 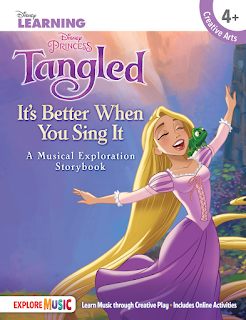 I'm most excited about the Tangled: It's Better When You Sing It - A Musical Exploration Storybook. Moana: The Beat of Your Heart. The Beat of your Heart, they are all great! Mickeys Found Sounds! Thanks so much for the chances to win. Muana. Looking forward to them all, though. I'm most about the Moana: The Beat of Your Heart - A Musical Exploration Activity Book. My daughter is very into Moana right now. My son has taken a liking to Moana recently and we have watched the movie over n over. He has memorized many dialogues now. So Moana is our favorite. 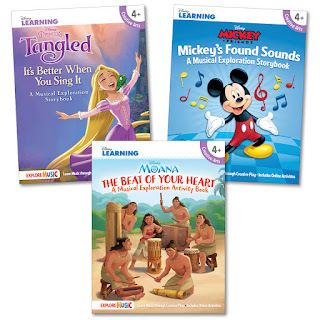 These books are indeed a great way to introduce instruments n music to kids. Their fav characters are sure to keep them engrossed.